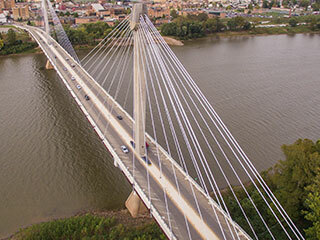 The new U.S. Grant Bridge is a three span cable-stayed structure spanning the Ohio River at Portsmouth Ohio. 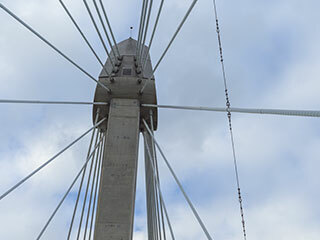 Stainless steel caps top off the main towers, which rise over three hundred feet above the river bed. 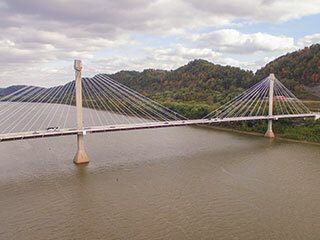 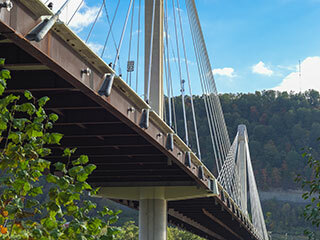 This structure, with a total suspended span length of 1,685 feet, is the first cable-stayed bridge designed and constructed for the Ohio Department of Transportation.